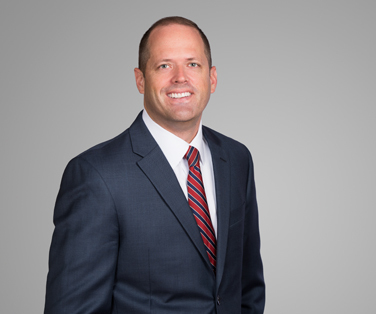 Sean Toomey was acknowledged by New Orleans CityBusiness as “One to Watch” in Law. He was recognized for his trial and prosecution experience, and his leadership involvement with the New Orleans Police and Justice Foundation. Sean’s over 10 years in the courtroom as a federal prosecutor enables him to represent clients in high-stakes civil and criminal proceedings, as well as internal and government investigations. He draws on his experience of over a decade in the Department of Justice as an assistant U.S. attorney in the Eastern District of Louisiana, where he focused on trying cases, arguing motions and appearing before the Fifth Circuit Court of Appeals in high-profile cases. Sean also handles commercial litigation, building on his earlier years of civil practice at two international law firms in New York, focused on securities, regulatory and general commercial disputes involving a broad spectrum of legal practice, including fraud, breach of contract, breach of fiduciary duty, reinsurance, health care and federal securities law. He received his Juris Doctor from Tulane Law School and was a member of the Order of the Coif, and he was the notes and comments editor for the Tulane Law Review. Sean received his Bachelor of Arts degree from the College of the Holy Cross.